Build your own Arduino shield using this compact and flexible Protoshield Kit. Solder together a limitless range of circuits and re-use it in all your Arduino projects. A standard 0.1" prototyping grid accepts commonly used through-hole parts and chips. In addition, a range of basic components are included to help you get started with your custom shield. 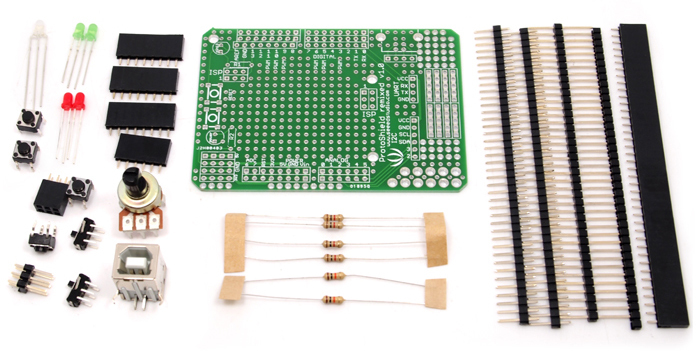 Click the button below to add the Protoshield Kit for Arduino to your wish list.